The University of Lethbridge is having a “happening” for their first theatrical production of the season. 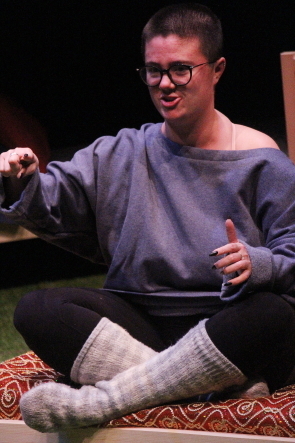 “inVISIBLE (too)” happens at the David Spinks Theatre, Oct. 9-13. The intimate show is a collaborative effort between The University of Lethbridge and Handsome Alice Theatre in Calgary welcomes the audience in to a dorm built into the David Spinks Theatre to listen to stories and songs from the cast including Kathryn Smith, Alex Watz, Makambe K Simamba, Jaymie Brennan, Sheadene Morrison and Hannah Stobbe, who draw from their personal experiences as they share stories with each other and the audience. Facilitated by Handsome Alice Theatre’s creative team, which includes artistic director, Meg Farhall and Faculty of Fine Arts alumni, Makambe Simamba (BFA ’14) and Kathryn Smith (BFA ’12), inVISIBLE (too) is the second iteration of this devised project. “We sit around and tell stories and sing songs for 90 minutes,” described Kathryn Smith, who tells a story about helping several friends undergoing mental breakdowns. “ But sometimes, we’ll tell stories, or play an instrument or dance,” she added. “We spent the past three-four months telling stories to each other for this show. They’re all true. The stories range from being about being with family to mental health,” she said, adding there is no script for this interactive production. The actors will tell stories or play music. 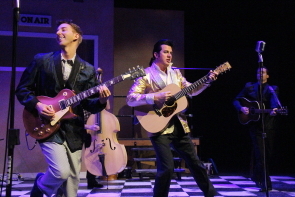 This is the last week to catch the outstanding production of New West Theatre’s the Million Dollar Quartet. It is not to be missed. The show takes place on Dec. 4, 195 6, a pivotal time in the nascent days of rock and roll at the immortal Sun Studios in Memphis, Tennessee, where Sam Phillips has seen his tiny independent record label built in a refurbished auto parts store, explode. 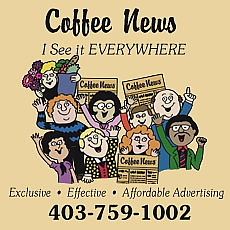 Cornerstone artist Elvis Presley has already gone Hollywood where he is making “terrible movies,” Johnny Cash has become a bona fide country star, who has signed to Columbia Records unbeknownst to Phillips, who is trying to get him to re-sign with Sun. And Carl Perkins, who has just skyrocketed with his hit “Blue Suede Shoes” is desperately trying to record his second hit— ideally a cover of the old blues standard “Matchbox,” with the help of a young upstart pianist Jerry Lee Lewis. Thus the scene is set for an impromptu jam session arising from Carl Perkins’ session with Jerry Lee Lewis, and a visit by Johnny Cash plus Elvis and his new girlfriend/singer Dyanne. The show is really well done. The set is a faithful reconstruction of the actual Sun Studios in Memphis, which is still a popular tourist attraction and which brought back a lot of fond memories from my visit there. The actors are exceptional actors and musicians as well, except for Doug MacArthur who plays Sun Records boss Sam Phillips, who is the only one who doesn’t sing or dance. Devon Brayne conveys a lot of emotions on just his face as Johnny Cash, whether he is trying to find the best way to break it to his old mentor, friend and original believer Sam Phillips that he is leaving, or being the adult in the room, calling out overly cocky upstart and snot nosed young punk Jerry Lee Lewis played by show stealing Hunter Semrau. Brayne also accurately copies Cash’s physical mannerisms. I especially enjoyed the interplay between Semrau and Kevin Owen Clarke, who plays Carl Perkins. Clarke physically and subtly conveys a lot of Perkins’ internalized anger towards Elvis and Sam Phillips as Perkins has his own issues with Elvis, for playing his song “Blue Suede Shoes” on The Ed Sullivan show. Matt Cage is a veteran of Million Dollar Quartet, having played Elvis in a couple other productions of the show, so he has the Elvis character down, right down from the shaking leg to the sneer and dance moves. All three of them relive their first moments meeting Phillips in various flashbacks, adding to their back stories, in between playing excerpts of their first hits and other classics of the day. Hunter Semrau is definitely the comic relief of the show, breaking up some of the more tense moments between Elvis, Perkins and Cash and Phillips. But the U of L opera student steals the show with some “killer” piano playing while easily portraying the misplaced cockiness of of Jerry Lee Lewis as only a 20-year-old with the omniscience of the world can do. Lewis shamelessly hits on Elvis’s girlfriend and completely disrespects Perkins, which was on the way to being unbearable, until Cash and Phillips call him down for it. Where’s Oscar? Director Rob Berezay should know by now as he has done the Tom Gillespie adapted, farce twice before in Milk River and Raymond and with do it again with Playgoers of Lethbridge in Feb. 20-23 in the Sterndale Bennett Theatre. Auditions take place at Casa, Sept. 25 and 26. “ It’s a convoluted story,” summarized director Rob Berezay. “I’ve played the lead role and directed it in Milk River and Raymond, so when the opportunity came up to do it for Playgoers, I took it, though I did pitch it to them,” he said. “I’ve already asked some of them to reprise their old characters, but I’m excited to work with new people,” he said. The laughs come early and mount with false marriage proposals, a bag of jewels that magically, and persistently change into a bundle of ladies underwear and a mysterious woman from his past with a big secret. Magic sometimes happens at spontaneous jam sessions. So New West Theatre explores one of these in their new production Million Dollar Quartet — a musical about a spontaneous jam session in 1956 at Sun Studios with Johnny Cash, Elvis Presley, Carl Perkins and Jerry Lee Lewis. The Tony award winning Broadway musical by Colin Escott and Floyd Mutrux runs Sept, 12-29 at the newly renovated Yates Theatre. “It’s a musical based on a jam session in 1956 Sun Studios with Carl Perkins, Elvis, Johnny Cash and Jerry Lee Lewis who united and got together in a room together,” said Kathy Zaborsky who is co-musical director with Scott Mezei for this production. “It’s a play and a story and a story loosely based on the events leading up to the the group getting together with Sam Phillips in Sun Studios,” she continued. “ It’s a musical like Avenue Q, but it‘s all based on ’50s music so that includes country, rockabilly, rock and roll and the blues,” she said, adding it is different than New West Theatre’s usual music/comedy revues, though there is a lot of both in Million Dollar Quartet. “We haven’t done a musical for about 10 years, since we did Gift of the Magi,” Zaborsky said, adding the music includes more than just the music of the four primary characters. 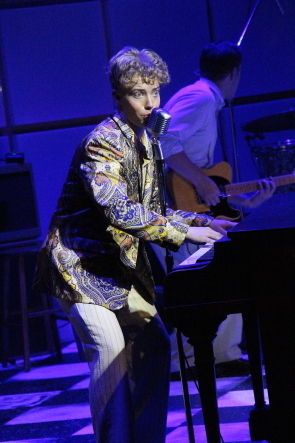 “ It was definitely a challenge, because we had to find a cast who are not only great musicians, but great actors and singers as well,” said Zaborsky who is pleased with the cast which features a couple of familiar faces including Devon Brayne, who plays a young Johnny Cash and Claire Lint, who plays Elvis’s girlfriend Dyanne. 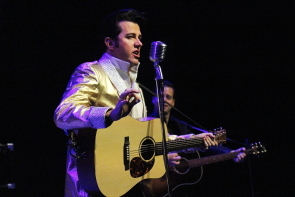 It also includes New West newcomers Kevin Clarke as Carl Perkins and Matt Cage who plays Elvis and has played Elvis in previous productions of The Million Dollar quartet. They have a crack band of bassist Paul Holden, drummer Theo Lysyk and Scott Mezei playing guitar.